A person familiar with the negotiations says the Philadelphia 76ers are adding James Ennis from the Houston Rockets in exchange for draft considerations. The person spoke on condition of anonymity pending the NBA trade call to complete the deal. Philadelphia will become the sixth club for the well-traveled Ennis, who averaged 7.4 points for the Rockets this season. Ennis has also played for Miami, Memphis, Houston and New Orleans. He’s a career 36 percent shooter from 3-point range and will add to Philadelphia’s bench depth. Only a few hours remain to determine if the Anthony Davis saga ends for this season or lingers into the summer. 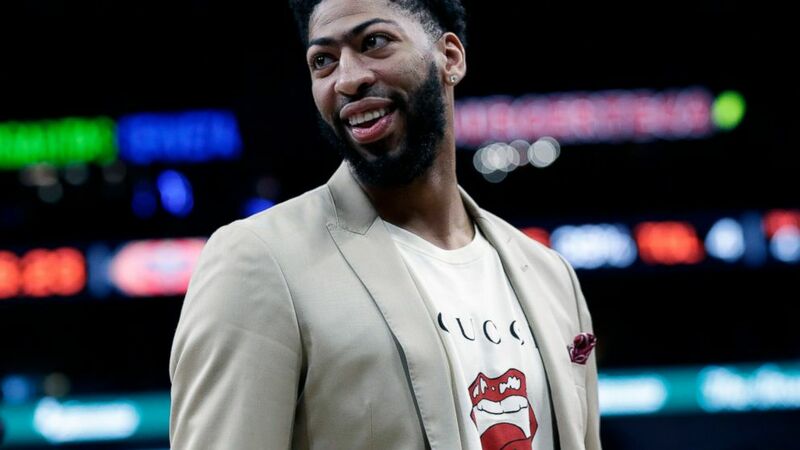 The NBA trade deadline is Thursday at 3 p.m. EST, and Davis is still seeking a trade from the New Orleans Pelicans. If the team doesn’t deal him by then, it would have to wait until the offseason to part with its All-Star forward. Two of the teams believed to be interested in Davis, the Lakers and Celtics, play Thursday night in Boston. A few moves were made Wednesday, with some teams adding talent for playoff pushes, and others simply looking to trim their future salary obligations. A decorated free agent class led by Kevin Durant, Kyrie Irving and Kawhi Leonard awaits in July, so more teams could use the final hours of the deadline searching for moves that could help them afford one of those star players.